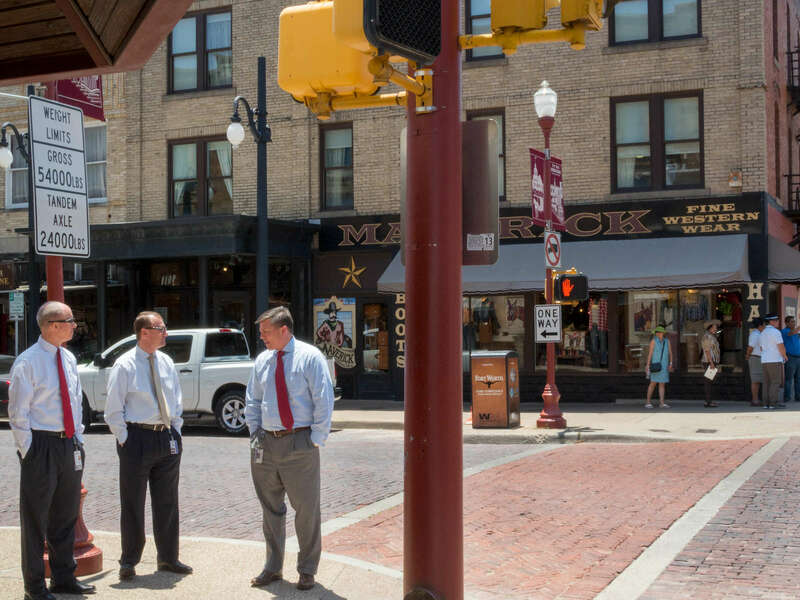 'FINE WESTERN WEAR' Businessmen chat on the corner of a street in the Stockyards district of Fort Worth. The Fort Worth Stockyards is a historic district that is located in Fort Worth, Texas, north of the central business district. The 98-acre (40 ha) district was listed on the National Register of Historic Places as Fort Worth Stockyards Historic District in 1976.They are a former livestock market which operated under various owners from 1866.